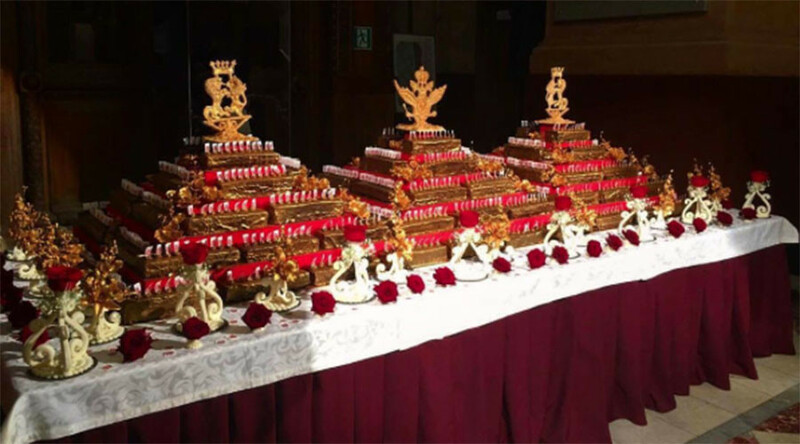 The State Historical Museum – an iconic landmark of Moscow’s Red Square – celebrated 145 years over the weekend, marking the occasion with 145 cakes decorated with gold and weighing a total of 500kg: all visitors were greeted with a slice. The cakes were hand-baked to a 1752 Parisian recipe. A total of 23 carats of gold leaf was used to decorate the confectionary. Cake was offered to anyone with a ticket to the museum, which were sold at half-price for the occasion. One of Russia’s largest, the State Historical Museum boasts relics of local prehistoric tribes as well as priceless artworks belonging to the Romanov dynasty. The total number of objects in the museum's collection comes to millions. Social media users were quick to mock the long lines of people braving the weekend cold, stating that they were likely there for the cake, not the art and history.